Make Your Marketing, Training and Promotion Challenges Disappear​! 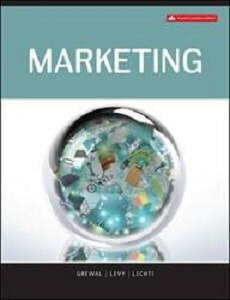 Marketing Magic's primary focus is on marketing communication plans and programs for high tech and services marketing. Our clients range from smaller organizations such as the Stratford Festival, to Fortune 500 companies like Manulife Financial, Scotiabank and Lexus Canada. Shirley Lichti, Founding partner, has an extensive background in marketing, advertising, promotions, and training with IBM. She has worked in Canada, the Caribbean and Japan and has been a featured keynote speaker at conferences, delivering marketing seminars, marketing workshops and customer service education. Shirley also teaches marketing at Wilfrid Laurier University in Waterloo where she was recognized with the 2002 School of Business & Economics Outstanding Teacher Award. She was honoured as one of Laurier's "Most Popular Professors" in the MacLean's Guide to Canadian Universities in 2003, 2004, 2005 and 2006. Shirley received the Leadership in Faculty Teaching (LIFT) Award, for teaching excellence, from the Ministry of Training, Colleges and Universities in 2007. She was recognized with a Women of Achievement award by the Zonta Club of Kitchener-Waterloo in 2015. SHIRLEY LICHTI IS AUTHOR OF FOUR EDITIONS OF MARKETING. 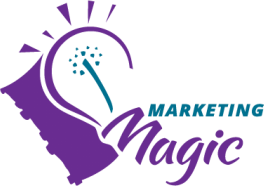 To discuss how Marketing Magic takes the mystery out of marketing and can help you to discover the mastery and the magic, call or email us today.